ANANTARA PHUKET LAYAN RESORT & SPA has added a new state-of-the -art Muay Thai boxing ring, called ‘Layan Stadium’. Phuket Layan is the first Anantara resort to boast such a facility, with more resorts to follow suit throughout the year. Muay Thai boxing is Thailand’s national sport. Located in a sala between the resort’s lotus pond and greenery, the new ring measures just under half the size of a standard Muay Thai boxing ring, offering a conveniently compact arena for guests to enjoy sessions with expert instructors, all of whom boast extensive training and experience in the ring. The resort offers a range of private classes and programs designed to suit all ages and abilities, including a five-day intensive program with ringside seats at a local stadium match. Now popular the world over, people from all walks of life train in Muay Thai to lose weight, get fighting fit, burn off stress, discover a new passion and experience one of Thailand’s most iconic cultural traditions. At Anantara Phuket Layan, each boxing student is kitted out with expertly tied hand wraps and genuine Muay Thai gloves, and seasoned instructors provide motivating classes, teaching guests how to master the range of Muay Thai moves, comprising jabs, hooks and swings, knee strikes, kicks and foot jabs. All classes and programs include drinking water, face towels, a certificate and a pair of Thai boxing shorts for guests to take home as a memento of their experience. Each class lasts for 1 hour and can be booked up to 24 hours in advance. The cost: A basic Thai boxing session is 2,500 THB per person, and for advanced sessions, — 3,000 THB per person. Family packages include a Thai boxing session for a couple at 5,000 THB; 7,000 THB for three people; and 9,000 THB for four people. There’s also a five-day basic boxing package for 12,000 THB per person and 22,000 THB per couple. The five-day package also includes a ringside seat at Central Patong Stadium. CENTARA PELICAN BAY RESIDENCE & SUITES KRABI, which marked its soft opening this month, takes full advantage of its location – across the road from Klong Muang beach, which offers spectacular views over the Andaman Sea, as well as the closest coastal access to the Ko Hong island group, an untouched marine sanctuary. Three beaches are found here: Southerly Ao Siew; Klong Muang, which has two sides – a wide sandy stretch to the south, and a narrow strip of sand curving round to the north, and Tupkaek Beach. The Residence itself has been designed as a cluster of low-rise buildings surrounding a swimming pool, with the area’s characteristically green tropical forest rising up around it. The residence offers a choice of modern apartments and pool suites with one, two or three bedrooms. Many of the suites come complete with their own outdoor plunge pool featuring either an ocean or pool view, or a garden terrace. Centara Pelican Bay Residence & Suites Krabi is also home to an large swimming pool, which includes a child-friendly shallow end; a fully-equipped fitness centre; and a ‘chilling lounge’ complete with internet stations, plus water sports, snorkelling and PADI diving. Its all-day Globe restaurant is located poolside, serving up Thai and international dishes, while ‘The Nest’ is a beachside restaurant, perched three stories up, where drinks and light meals look their best against stunning Andaman Sea views. Krabi itself offers visitors a huge array of memorable sights and activities, with nature trails and limestone islands forming natural playgrounds for countless rambles and adventures, even though Krabi International Airport is just 35 minutes away by road. There is a pier near to the Resort, where boat trips can be arranged for island hopping, diving and snorkelling. BREEZE SPAS is offering three new treatments designed to relax your five senses and invoke the landscape where they are offered – Amari Phuket, Amari Hua Hin and Amari Watergate Bangkok. The featured treatment at Amari Phuket is its Coco Mojito Package, designed to help damaged skin recover from sun exposure with Amari Phuket Breeze Spa’s exclusive restoring treatment. The experience begins with a body mask using naturally pampering ingredients as Aloe Vera and phytoplankton extract with a hint of coconut, mint and lime. Aloe Vera is commonly known to treat sunburns, whilst phytoplankton is rich in sea minerals, which help to soften neglected skin, promoting all over radiance. This is followed by a harmonizing massage experience inspired by the ancient wisdom and deep understanding of Thai touch, as an extra delight, the package also comes with a facial treatment to help guests regain a glowing complexion. The Phuket Coco Mojito Package is priced at 3,900 THB for a 150-minute treatment. For more information, please visit www.breeze-spa.com/amari-phuket/. The greenery and air of Hua Hin are filled with hints of succulent fruits and sea breeze. Amari Hua Hin’s Breeze Spa offers the Hua Hin Tropicana Package, designed for guests seeking to be indulged and recharged. The brightening treatment combines plush marine sources, including powdery pearl extract. Rich in amino acids and natural minerals, the extract is drizzled and worked onto the skin to help promote cell regeneration. Following this treatment, guests can feel tight muscles loosen and tensions melt away with a concentrating massage, using oil made from extracts of the most luscious fruits found in Thailand, including mangoes, oranges, and the earthy Vetiver herb. 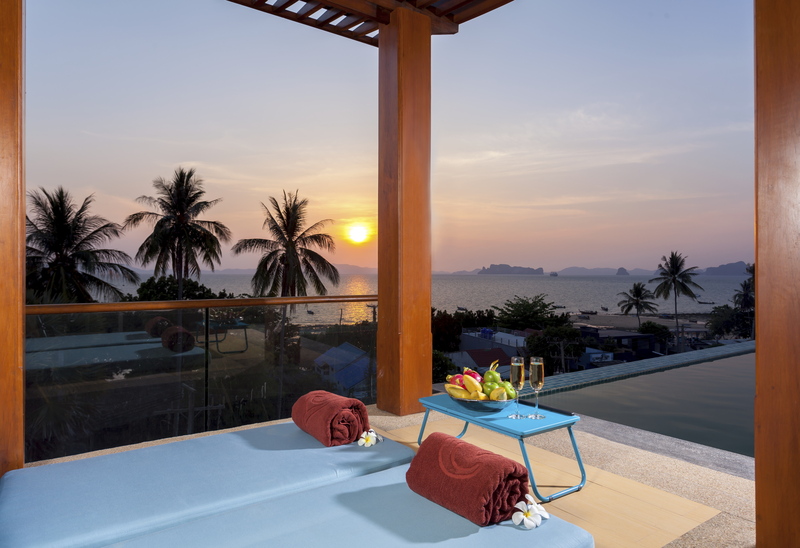 The Hua Hin Tropicana Package is priced at 3,400 THB for a 120-minute treatment. For more information, visit www.breeze-spa.com/amari-huahin/. At Amari Watergate Bangkok, guests can rebalance their mind and body with the Bangkok Retreat Package. The full body treatment begins with an aromatic peppermint and orange foot ritual, followed by ancient and modern massage techniques to effectively ease strained muscles and knots and encourage the body to rebalance itself. The focus areas of the massage are the legs and feet, where hot stones are incorporated to help restore energy – perfect after a long day of shopping or running errands. The experience ends with a deep cleansing treatment and oriental rose quartz-draining facial to clear the skin and promote soft complexion sending guests off to enjoy the metropolis. The Bangkok Retreat Package is priced at 3,800 THB for a 120-minute treatment. For more information, visit www.breeze-spa.com/amari-watergate-bangkok/. IT’S THE TITLE of a new ebook about Thai resorts and spas by Jim Carr and published by Spa Canada magazine. 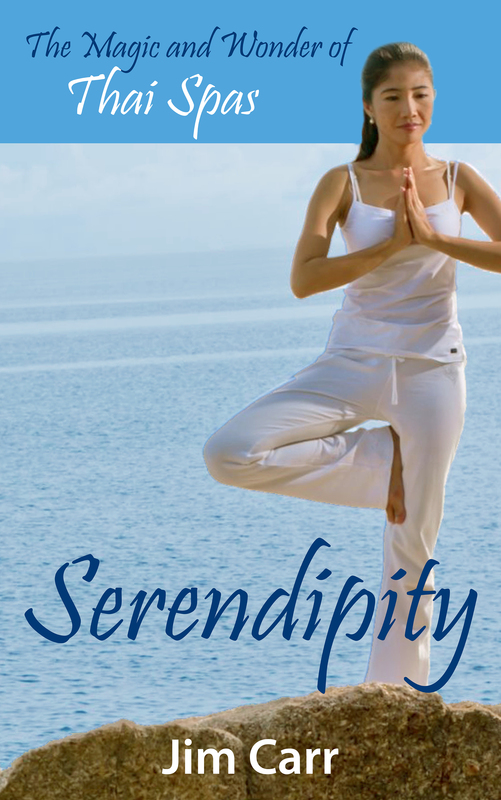 The full title of the book is Serendipity – The magic and wonder of Thai spas. It can be read on Kindle, Nook and Kobo eReaders as well as on Iphones, Ipads, Android tablets, Android phones as well as on your computer from a variety of ebook sellers like iBooks, Amazon, Barnes & Noble (US), Kobo (Canada, Japan and Australia), Booktique (Singapore), Flipkart (India), Submarino Digital (Brazil), Gardners Books and Tesco (UK), MIBOOK (Denmark), LAIE (Spain), Baker & Taylor (libraries and institutions in 120 countries), eCentral (Malaysia, Singapore and Indonesia), Scribd (“Netflix” for books), Ciando (Germany), EBESCO, ePub Direct and Ebooks. “I got the idea for the book while research a story on the cost of treating life-threatening heal illness like heart attacks and strokes in Asia,” he says. While in Thailand, he also visited three resorts/spas/clinics in Bangkok, Hua Hin and Chiang Mai, and became acquainted with the kindness and gentleness of the people he met in each area of the country. The scenery was a plus. His stories on these spas were a big hit with readers of Spa Canada magazine and when he returned to visit a few more spas and resorts, he was soon to become aware of the special cache that Thai spas had for spa goers around the world. When he asked industry professionals in Thailand and elsewhere, he didn’t get one clear answer but a number – the scenery, the resorts in which the spas were located, and above all, the special touch of Thai therapists. Thailand has been a major tourist attraction for millions of tourists every year, with many making Thai spas their prime reason for coming. That’s when Carr started thinking about writing a book about Thai spas on the kind and range of treatments they offered. 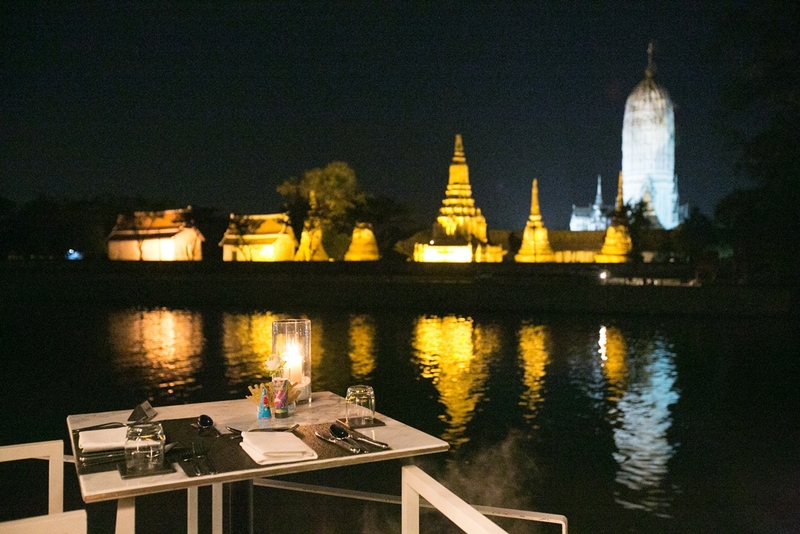 He returned and visit 60+ hotels and resorts throughout Thailand on a spa journey that took him from Bangkok to Chiang Mai and Chiang Rai in the north before heading south to Pattaya, about an hour’s drive from Bangkok, and to Koh Samui, an island in the Gulf of Thailand, then to Krabi and Phuket on the Andaman Sea before heading back to Bangkok, stopping en route at Hua Hin, where Thai royalty have their summer homes. All resorts/spas he visited had five-star ratings and included outstanding individual properties like Dhara Dhevi Chiang Mai, which looks lile a Thai-style Disney World from a distance; St. Regis Bangkok; TriSera Phuket; and Ritz-Carlton Phulay Bay Reserve, just outside Krabi in the south; Naka Island, Phuket; wellness spas like S Medical Clinic, Bangkok; Absolute Sanctuary, Koh Samui; and Chiva-Som in Hua Hin; plus hotels and resorts managed in these areas like Amari, Anantara, Banyan Tree, Centara, Dusit Thani, Evason, Four Seasons, Grand Hyatt Bangkok, Mandarin Oriental Bangkok, InterContinental, Peninsula, Six Senses, and Shangri-la; as well as a number of boutique resorts like Ping Nakara Chiang Mai. SONGKRAN IS AN IMPORTANT occasion at SALA Resorts, where it will be celebrated at five of its hotels/resorts – Bangkok, Chiang Mai, Phuket, Ayutthaya and Koh Samui. Songkran falls on the hottest time of the year – at the end of Thailand’s dry season. While it may appear to be all fun and games, the festival is deeply rooted in Thai culture, offering Thai youth the opportunity to do merit to the gods and pay respect to their elders. In Bangkok, water fights will be held at various spots around Banglamphu. At Chiang Mai, visitors will be able to take part in a parade around the city as well as pour jasmine-scented water on a Buddha image and on elders, enjoy Lanna-style cultural performances and try out northern Thai foods. At SALA Thai Village Fair, the night will be dedicated to Thai cuisine, where celebrants will be able to sample foods from Thailand’s four regions at the fair’s market food stalls. Elephants will be the big attraction at Ayutthaya Songran festivities, while the action in Koh Samui will take place on Chaweng Beach, where the streets will be lined with people throwing water on passing cars and motorbikes. REVIVAL AFTER TOUGH EXERCISE, sport and adventure activities are vital to repair muscles and rejuvenate the skin. The muscles need time to recover in 48 hours while the skin needs a week for recovery from excessive sun exposure. Devarana has launched after sport and adventure activities revival program to enhance your muscle relaxation and your sport performance. This program includes a full body Devarana Massage to relax and stretch your muscle, followed by cooling Aloe Gel Face Mask application to soothe your skin. The treatment ends with warm Coffee & Herbal Bath and cold rain shower to relieve soreness, tone the skin and widen blood vessels to prevent muscles and tissues injury. The price is 4,000 THB for a two-hour session, and is available until May 31, 2015 at all Devarana Spas. For more information, contact: Devarana Spa at Dusit Thani Bangkok – 66 (0) 2636 3596 or email bangkok@devaranaspa.com; Devarana Spa at Dusit Thani Pattaya – 66 (0) 3837 1044 or email pattaya@devaranaspa.com; Devarana Spa at Dusit Thani Hua Hin – 66 (0) 3244 2494 or email huahin@devaranaspa.com; Devarana Spa at dusitD2 chiang mai – 66 (0) 5325 2511. SIX SENSES MEDITATION, a focus on mindfulness, has been created around the brand’s philosophy of six senses – sight, sound, smell, taste, touch and the elusive sixth sense. Research shows that meditation provides cognitive and psychological benefits that persist throughout the day, and by using mindfulness practices, Six Senses aims to lead the guests to a more balanced state of being. The Six Senses yoga teacher begins by offering a piece of fruit and a drop of essential oil on everyone’s hand and then guides the group through their meditation. Practitioners are encouraged to “see” their third eye, inhale the essential oil, hear the unheard, feel the earth, and focus on the taste of the fruit as they progress through their meditation. The sixth sense is represented by the heart chakra and practitioners are asked to expand their heart, reconnect and feel love for themselves and others around the world. It is only when our hearts open, that we can feel compassion and genuine empathy for others. Meditation sessions are offered complimentary and on a regular basis at Six Senses spas around the world. 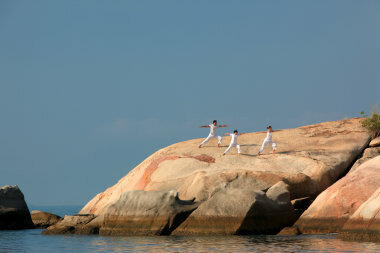 At Six Senses resorts, guests can enjoy guided meditation at the end of group yoga classes. Six Senses resorts and spas have also introduced short sessions before or after wellness workshops and visiting practitioner talks. “My daily meditation practice has become as natural and beneficial as any morning ritual, and we are proud to be sharing the benefits of meditation and mindfulness practice in a way that anyone can grasp. It is a path to happiness and balance that is supported by research,” said Anna Bjurstam, vice president of Six Senses Spas. Six Senses Meditation is not justfor guests, but also to expand host practices. There are seven- and 15-minute versions of Six Senses Meditation which have been incorporated into spa hosts’ briefing meetings, training sessions as well as group activities. The goal is to further enhance Six Senses hosts’ skills and deepen their intuition and compassion which are crucial when providing a highly personalized treatment. There are also wider resort and spa get-togethers to share the benefits with other hosts and boost Six Senses inimitable and intuitive approach to service. Six Senses Spas include 27 award-winning spas in 18 countries around the world. 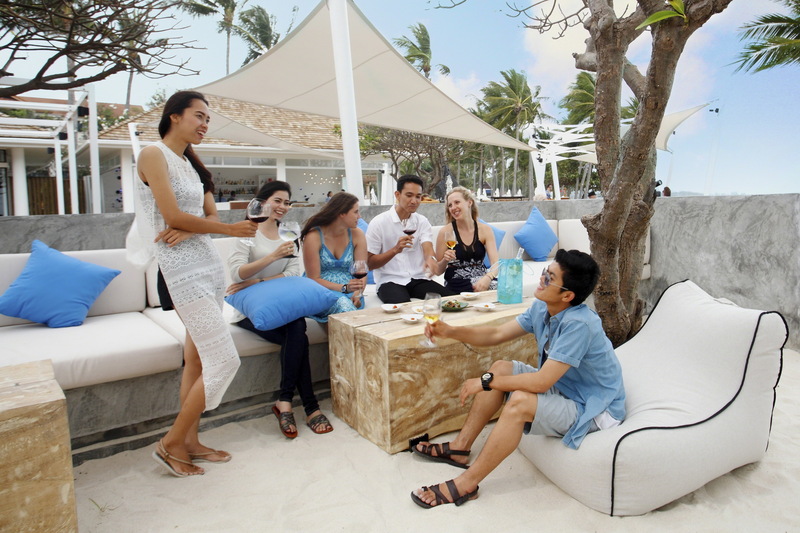 CENTARA HOTEL & RESORT’S BEACH BAR CONCEPT is now being implemented across a number of Centara properties, after a successful opening of the original Coast Beach Bar & Grill at the Centara Samui Grand Beach Resort, on the tropcial Thai island of Koh Samui. Coast is an all-day destination located on the southern stretch of Samui’s Chaweng beach, combining a tranquil beachside setting with a bar and grill restaurants. Designed in a relaxed, modern style, each outlet will form a natural hub around which guests can enjoy the sights of sand and sea, while eating and drinking beach-side at the times that suit them. Indoor and outdoor seating options at Coast range from large sofas to round beach day beds and sunken terraced banquets. Popular international dishes such as tapas are served continually, while the bar’s dedicated cocktail mixologists serve up an intricate array of tropical cocktails. During both day and evening, fresh seafood is char grilled to perfection, served with a variety of salads and other popular side dishes. During the dinner hours, guests can chose from an abundance of innovative dishes, with a focus on grilled imported meats and local seafood. To help create the perfect tropical beach atmosphere, Coast makes a point of always playing the latest in imported ambient music, favouring modern jazz and electronica styles. Additionally, an ever-changing line-up of live entertainment starts each sunset so that guests can experience some local musical talent and participate in a more lively social environment. The roll-out of Centar’s other Coast concept bars will continue throughout 2015, with Centara Grand Mirage Beach Resort Pattaya’s Oceans being rebranded as Coast from May 2015 onwards. Centara Grand Beach Resort Phuket building a dedicated new Coast restaurant to open during October 2015.